Focusing on “everyday” cultural heritage, #hearmyhome is a collaborative project that invites youth and adults to earwitness community through expansive personal learning networks (PLN). Illustrated by our open-networked soundscapes map, #hearmyhome is an affinity space wherein participants share both knowledge and life experiences (hosted and inspired through sonic events) to form interpersonal relationships and collaboratively create a fuller understanding of community and culture. As the community expands through new partnerships and members, we hope it serves as a hub connecting participants with research opportunities, (g)local initiatives, and online resources and tools. Ultimately a pedagogical endeavor, one of #hearmyhome’s larger goals is to develop curricular materials for teachers via the collaborative network and shared space. Please join our efforts by designing, architecting, and inventing resources and experiences to be shared and remixed with fellow teachers and sonic composers. As an “open” project, resources will be shared widely as we hope to develop powerful practices of hearing, listening, and witnessing sound across communities. Please check back for updates on the curricular resources, and if you are an educator, please consider contributing to this crowd-sourced effort. Over the last couple of weeks, you have shared with us a multitude of sounds that constitute and represent home. You “earwitnessed” with others from around the globe. As a collaborative, we began hearing difference and listening to community. In our final sonic event of the 2017 year, we ask you to take a moment to breathe in the soundscapes you have produced and those you have consumed to reflect on your experience of (re)learning to listen. If you are an educator, in what ways can you imagine incorporating and building soundscapes into your curriculum and practice as a classroom teacher? What benefits and/or constraints do you anticipate for yourself and/or your students? 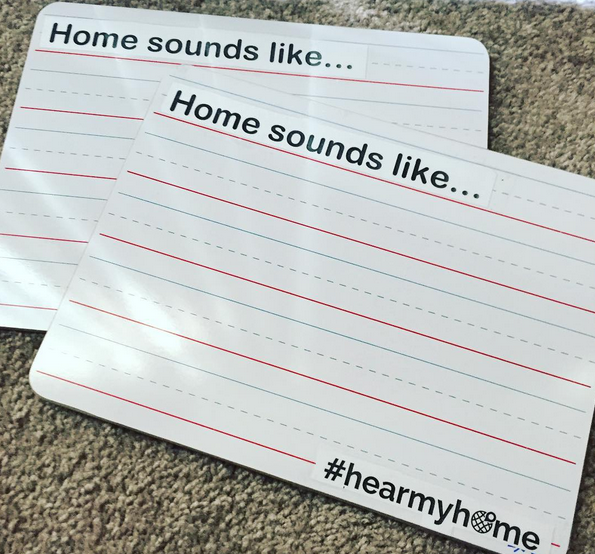 As a #hearmyhome participant, how did taking a multisensory approach to sound and sonic experiences attune you towards differences of the everyday? How can the process of (re)learning to listen inform your experiences with youth and youth communities? With your broader school and/or community? In your contexts of work and home? 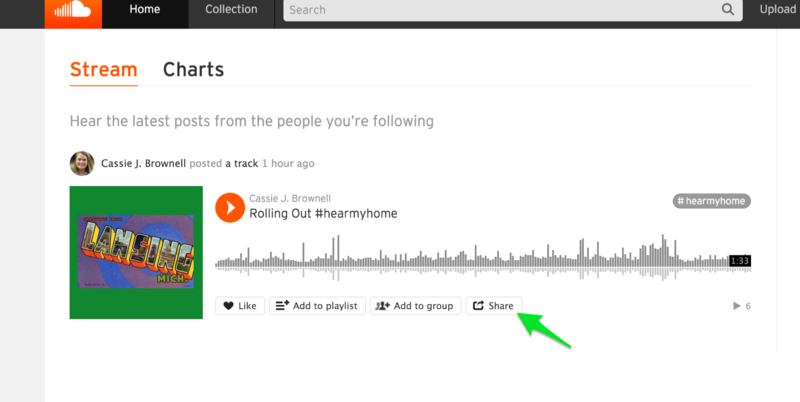 As always, tag your composition with #hearmyhome as well as #SE6 (sonic event 6), turn geotagging and location services on, and share it with us! We’re interested in how reflecting on listening may re-educate the senses! This week, in comparison to the first four sonic events, we are not asking you to produce something “new” per se, but to remix a resonance of another #hearmyhome participant’s product. As the fifth sonic event (#SE5) in our 2017 series, Remixing Resonances invites you to reflect on your listening. Choose a product/participant that you’ve earwitnessed alongside of and strike a chord by remediating and/or remixing their soundscape or multimodal composition. In remediating or remixing another #hearmyhome collaborator’s product, we hope to give voice to your unique vision as a mixmaster and audio artist. Take for example, Jon’s remix collage of Steph Ceraso’s masterpiece from last year. 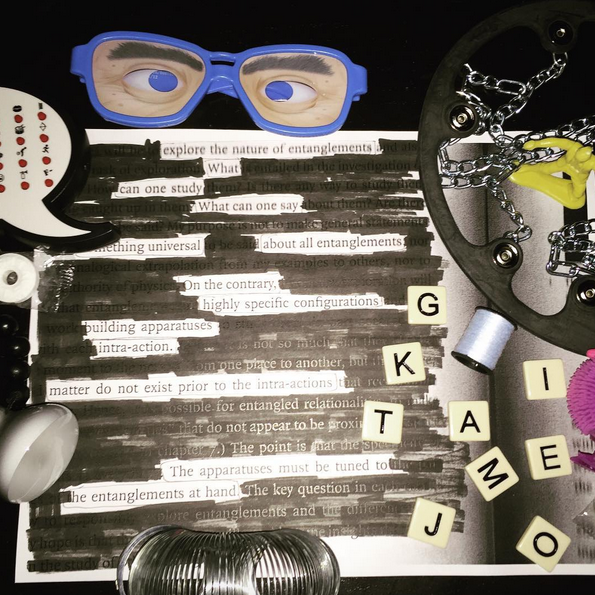 Taking her sound symphony of mundane music, Jon created a blacked-out poem highlighting his response and listening experience. For some, remediating and remixing through alternative modes may be one avenue to experiment and play, but it is not the only way. We are eager to see your innovation. As always, be sure to tag your tweet, photo, or post with #hearmyhome, indicating that it is in response to #SE5 (sonic event 5). We look forward to hearing the echoes of remediation and attuning towards your creative voice and vision. This week we invite you to reflect and consider how sound is not only an aurally stimulating event, but also a visually scintillating phenomenon. If you don’t believe us, take Nigel Stanford’s Cymatics as an example! Using your iPhone, tablet, and/or mobile media tool of choice, Week 4’s sonic event asks you to snap a picture, stream a video, or write rich textual descriptions that capture the feeling of sound and listening, however you conceive of it. For some, listening may look like a pair of headphones, an object that literally streams the sonic soundtrack of your workday. For others, like the deaf and hard of hearing, listening may be an activity decoded from sight, touch, and a more embodied sensorium. Therefore, we encourage you to play with the senses as you compose and participate in this week’s event. As always, tag your composition with #hearmyhome, turn geotagging and location services on, and share it with us! We’re interested in how seeing listening may re-educate the senses! Steven Alvarez's "Jackson Heights Immigrants Rights March"
From planned events like the Women’s March on Washington to more impromptu gatherings rejecting the recent #MuslimBan, we encourage you to hear these small snippets of activism as a movement, not a moment. Recognizing that these instances of protest and activism are not new, we encourage you to share the snippets of sounds that represent the issues most important to you. In other words, “sound out” and record resistance as it pertains to your local communities. Be sure to use the #hearmyhome tag and turn geotagging and location services on before sharing it! In Week 2 we ask you to take American composer John Cage’s lead and create an everyday sound symphony of your own. For those of you unfamiliar with the artist, Cage became quite famous in 1952 when his three-movement score 4’33 took audience members by storm. Rather than having the full orchestra play, Cage used the ambient noise of the crowd as the main tonal event. 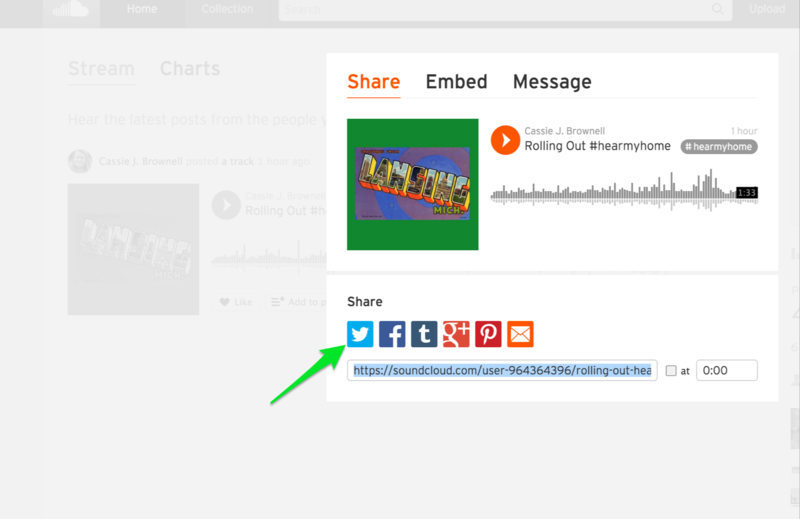 Using the social sharing tool of your choosing (e.g., Instagram, Twitter, Soundcloud, etc.) record an “earwitness”-ing event of your own. Your score, like Cage’s, should use the ambient soundscapes of your everyday as a starting point. In designing this Week’s sonic event, we were struck by others’ renewed focus on sound and the architecture of everyday experiences. As always, tag your composition with #hearmyhome and #SE2, turn geotagging and location services on, and share it! We’re interested in bearing wit(h)ness to your everyday sound symphonies. From the shoveling of snow or the whimpers of a dog to a call to prayer and/or shouts from a small child, we open #hearmyhome with the sounds that start your day. How does the world sound as you just wake up? What are the sounds as you roll out the door? In this first event, we ask you to share with us the sounds of the start of your day--be that an alarm at 6 AM or on your drive for the night shift. No matter whether your home is in rural Montana or on the bustling streets of London, we ask you to share the first sounds of the day. With this being the first sonic event (#SE1) in our series, we ask that you not only include the sounds of your day, but also take a quick second to introduce yourself and share the local time for your recording. And, if you’re comfortable doing so, be sure to include the geotag for the town or city you call “home” in when you upload your sound. 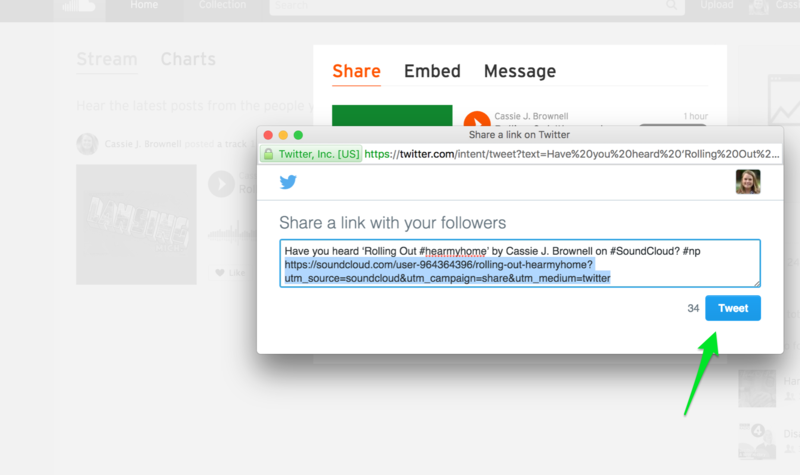 Be sure to #tag your post with #hearmyhome and index it with #SE1. As we shared earlier, the sounds you share will serve as contributions to the larger open-network we will collaboratively create and map. Follow the hashtag #hearmyhome on Twitter, Instagram, and Facebook or revisit our site throughout the week to listen to homes from across the globe! Looking for Sonic Series 2016? Interested in earwitnessing our 2016 sonic series? Click here! As American novelist Eudora Welty wrote, “Long before I wrote stories, I listened for stories. Listening for them is something more acute than listening to them.” This everyday cultural heritage project begs participants to not only listen to, but for the stories that emerge and resonate in building a collective community of sonic composers. We believe attuning towards difference and “hearing” homes and communities will help remediate learning about culture/s and community/ies in new ways. As a project interested in developing an archive for educators and youth writers committed to writing culture with and through sound, we are always looking for the best sonic resources. Please lurk, learn, and contribute to our running reference list. #hearmyhome is led by a team of teacher educators and literacy researchers in Michigan. 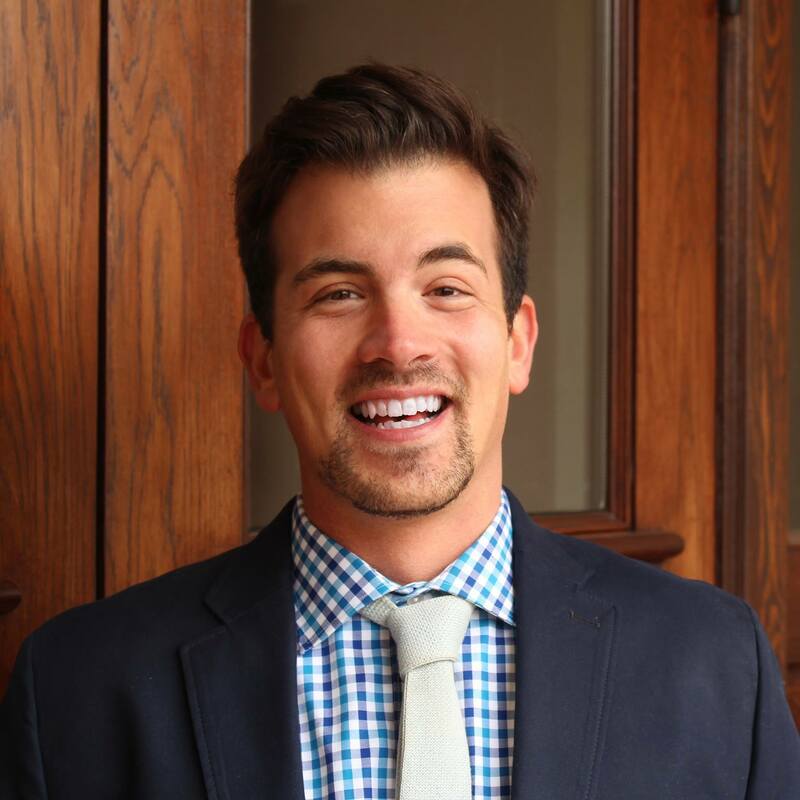 Jon M. Wargo (PI), is an Assistant Professor of Literacy at Wayne State University. 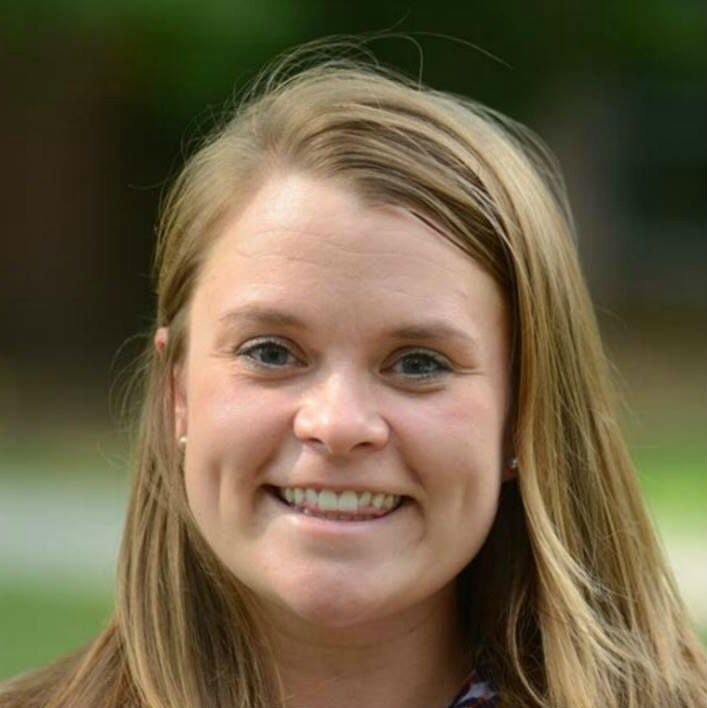 Cassie J. Brownell (PI) is a doctoral candidate in Curriculum, Instruction, and Teacher Education. If you are interested in joining the #hearmyhome team please email us! #hearmyhome by hearmyhome.matrix.msu.edu is licensed under a Creative Commons Attribution-ShareAlike 4.0 International License.